Step-22. Following the procedure in Step-21 you can create the front windshield and from that you can also derive the top mesh of the car. The work for the main car body is finished. You can see the final Image36. 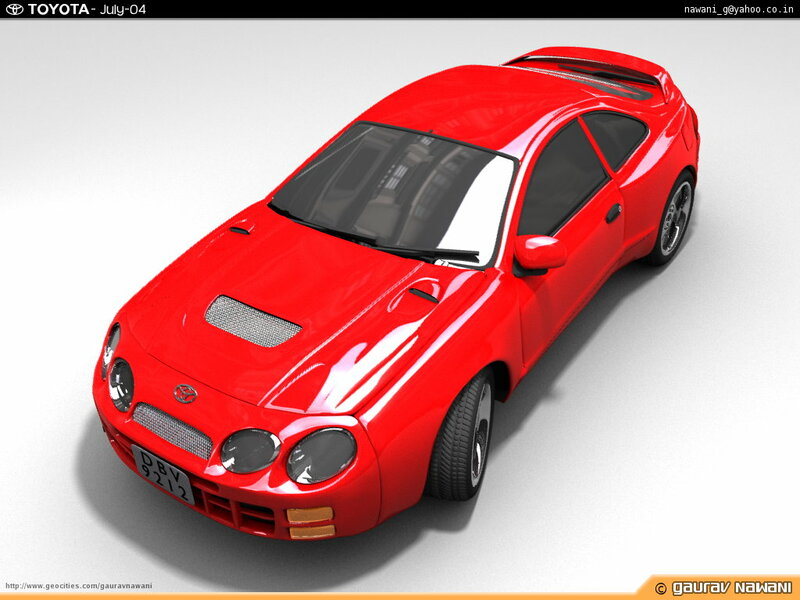 You now need to add more detail to the car like defining smoother edges of the body parts. Also do not forget to get the glass rubber the vipers done. This concludes the car body modeling tutorial. The Mesh is also available in blender format you can download it from the download section and please do not forget to read the license. Image36. Here is the Image rendered in Yafray from Blender2.32 and YableX.